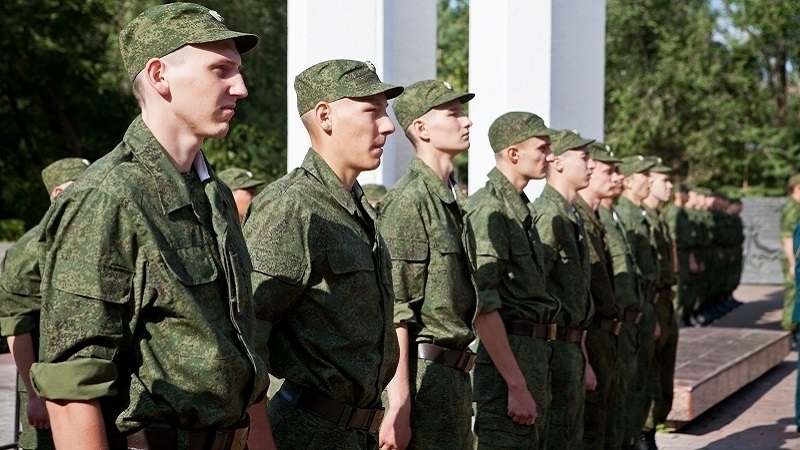 Over 2017, the number of Crimeans drafted into the Russian army has significantly increased, according to the statement of the human rights organization Crimean Solidarity. In 2016 the number was about 3100 people, while in 2017 almost 5,000 draftees from the Crimea were sent to the Russian army. During the occupation period, approximately 10,000 Crimeans were taken to serve in the Armed Forces of the Russian Federation. Human rights activists also note that in 2017 at least four criminal cases were opened for evading military service. “Two cases in Simferopol, one in Sevastopol, one in Yalta. Three of them resulted in convictions. Crimean citizens Trosh and Bakholdin were sentenced to fines of 25,000 rubles each, while the criminal record did not exempt them from compulsory military service in the occupying forces," the report said. Within the autumn 2017 conscription campaign, 2400 people were drafted from Crimea and Sevastopol in the Russian Armed Forces. According to Vadim Meshalkin, “head of the department for preparation and enlistment of citizens for military service of the Military Commissariat of the RC”, of these 2400 people, 645 were sent to serve in military units located on the territory of the Russian Federation. The human rights organization recalls that the practice of recruiting residents of the occupied territories to the ranks of the army of the occupying power, as well as propaganda of service in the Armed Forces of the Russian Federation, violates Article 51 of the Convention for the Protection of Civilian Persons in Time of War (Fourth Geneva Convention), and the transfer of conscripted citizens of Ukraine from the occupied territory to the territory of the Russian Federation violates Art. 49 of the abovementioned Convention. Reference: October 17, the Russian invaders sent the first group of recruits from the Crimea to serve in RF. The "caring Kremlin" brought young Crimeans to the service in remote areas of Siberia and the Far East with the help of flights of the military transport aviation of the Aerospace and Civil Aviation of the Russian Federation. Note that UNGA Resolution A / RES / 71/205 of December 19, 2016 "The Situation of Human Rights in the Autonomous Republic of Crimea and the City of Sevastopol (Ukraine)" calls for the abolition of conscription for citizens living in the occupied Crimea, as well as to ensure rigorous compliance with its international obligations by the Russian side.